"You're going to have the most turbo-charged, chrome-plated, plush-lined, high-gloss, super-speed customized time of your life." Corvette Summer is about a teenager named Kenny Dantley. Kenny is in love with cars and decides to restore a Chevrolet Corvette Stingray as his high school shop class project. Kenny does a masterful job of restoring the car and it quickly becomes his pride and joy. However, one day during the summer Kenny's car is stolen. He becomes obsessed with finding his Corvette, following the thieves all the way to Las Vegas. In Las Vegas, Kenny meets Vanessa. Kenny loses the trail of the crooks in Las Vegas but takes a job there in the hopes of learning more about the fate of his car. While working at a gas station, Kenny spots his Corvette and traces it to a local garage. Kenny tries to confront the crooks but the confrontation goes poorly and Vanessa has to rescue Kenny. In the meantime, the mastermind behind the theft turns out to be Ed McGrath, Kenny's shop teacher. Ed had greatly admired Kenny's car and arranged to steal it to get out of big financial trouble. Though Kenny is saddened by this development, he agrees to work with the crooks. Vanessa questions this decision, but Kenny explains that he can make good money. Secretly, Kenny's plan is to steal the car and take it back to his home in Southern California. This sets in motion a plan that takes Kenny and Vanessa on a wild car chase through Las Vegas all the way back to Kenny's high school. Corvette Summer is a coming of age story, with Kenny learning to care about more than his car. It also emphasizes the lesson of sticking to a task once you start it, as Kenny continually faces long odds in the hopes of finding his car. Vanessa is lost and alone and bonds with Kenny over his passion for automobiles and life. 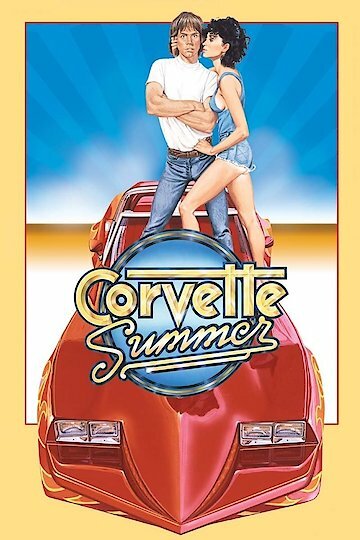 Corvette Summer is currently available to watch and stream, buy on demand at Amazon, Vudu, Google Play, FandangoNow, iTunes, YouTube VOD online.